The Men’s and Ladies Singles Finals were played last Saturday before a big crowd and after two close matches, our champions from last year were victorious again. In the Ladies singles Sofie Sullivan came from behind to defeat Emily Peake in three long sets. This was a very close final and both ladies deserved to win but Sofie prevailed with her never say die attitude.Emily was very brave and gracious in defeat .Congratulations to both ladies. Andrew Riminton then played Sean White in the Men’s Final and although Andrew won in straight sets there were some great rallies and close games. Both players gave their all and the crowd saw some great tennis. Andrew is warming up for The Seaside Classic so we all wish him the best there. Whereas Sean will be cooling off skiing in Japan over Christmas. The Ladies Doubles Final was played later in the day and Sofie Sullivan combined with Julia Gunn to again defeat Emily Peake and Carolina Pena y Lillo 7-5 7-6 in another close match. The Mens Doubles final was played a few weeks ago and Todd Maloney and Harry Faeste defeated Craig Withell and Richard Steeds. We still have the A Men’s Singles and Doubles finals to be played this Saturday. The Autumn Mens and Ladies Badge will begin on March 23 2019. Please see fact sheet below for details. A nomination form for Badge will be on Manly Lawn website so we need players to send in their nomination forms by January 31.The teams will be selected on February 1 so no late entries will be accepted. If you don’t nominate on time then you will go on the reserves list. Our new selectors for Mens and Ladies teams will be out over the break speaking to all players re your availability. This will be held as usual from December 26 to December 31 so we hope to see many club members there watching the high standard of tennis. Any member with a RSA certificate and can help out at the bar over the tournament please let Milton know as he is making up a roster for members to help Kevin. There will be NO social tennis from December 26 to December 31. Any outside social tennis will be at the members own court hire expense. January 1 will be next social day after December 22. Result from this past weekend’s play are included. Thank you to Dean Hodgson for compiling the draws. Open grades are for anyone. A grade is for men 2.1 Badge grade or lower and ladies A grade is 1.3 Badge or lower. A grade mixed is thus a 1.3 lady with a man 2.1 or lower. 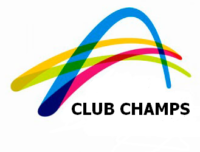 Combined and Age Club Championships will be held in February. All finals will be held on Saturday November 3 with a barbecue and presentation ceremony. All events will be a knockout tournament and the open events might include a plate event also if we have lots of entries. Sunday October 14 is the closing date for entries. The Club Championships were fiercely contested last weekend with Howard and John proving too experienced for Matt and Carl in the final. Both pairs did well to win their pools easily in Mens A Doubles. The Ladies was won by Kristina and Virginia who defeated Johanna and Jane and Julia and Liz. Last Sunday The Combined Age and A Mixed was played and Kirsten and Hugo were successful over Stu and Julia in the final. This weekend will be Mens Combined 100 Doubles at 1pm on Saturday. Thanks to all players who participated last weekend and good luck to all players this weekend. The Committee will organise prizes to be presented in early March. Congrats to all winners, runners-up, and above all, competitors for making the tournament possible. Special Congrats to Andrew and Sophie for winning the combined singles and doubles titles! Julia and Todd were leading Yvonne and Milton 6/1 3/1 when rain stopped play in the Open Mixed final. Phew, we got here! Results from today’s play together with the revised draws and times for this weekend’s play have been posted. Play starts at 10:30a Sun with the Women’s Open Singles: Sophie versus Sarah and the semi finals of the A grade Men’s singles. : Ian versus Paul, and Geoff versus Peter. The Blue Ribbon Men’s Open Singles is at high noon: Jono versus Andrew. Andrew won a tough and exciting 3 sets match against Jimmy. Play concludes for the day with the Open Men’s and Mixed Doubles and wraps up with the BBQ and Presentations. PLEASE JOIN US FOR SOME GREAT TENNIS AND THE USUAL FREE FOOD EXTRAGANZA. Results from last weekend’s play together with the revised draws and times for this weekend’s play have been posted. Play starts at 1130a Sat with the A grade Men’s singles and semifinal of Open Men’s Doubles. The weather is clearing with cooler temps ideal for singles play! Yvonne Davis is subbing for Sophie Sullivan in the Open Mixed. A-Grade Men’s Singles had a record 16 person entry but Craig has withdrawn. With Scottie’s help, entries have been graded into two flights with the winner/runner up of each flight going into final playoff rounds. We will play either 3 or 4 rounds (weather dependent) of 8-games no add scoring to decide the winners of each flight. Thereafter, the playoff rounds will be one (1) tiebreaker set to decide the event winner. Depending on the ‘finalists’, we could play the finals on Sunday since we have courts available during club time. I’ll ask the winners their preference tomorrow. NOTE: all have to agree or posted draw stands! Sorry but we have no courts available for anyone who wants to play SOCIAL before 4:30p. Normal play should resume for social next weekend.